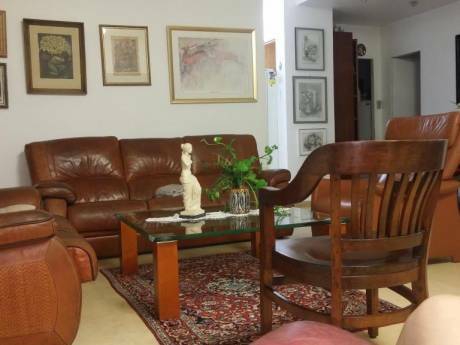 A nice holiday home near the ancient city of Caesarea. Third floor apartment, great sea breeze, right opposite the elevator. Huge windows, so lots of light in the apartment. The kitchen is connected with the living area. Small but fully equiped with cutlery and pots and pans, a small oven/microwave and electric stove for cooking. In the living area a large sofa and a relaxing chair, tv with cable and a stereo set. The masterbedroom has a nice queen size bed and a big closet for cloth storage, a tv and a sea view! The small bedroom has a queen size bed and 1 additional sleeper that can be unfolded at night. The bathroom includes toilet and bath/shower and a hair dryer. The apartment is in a holiday -house complex called "neot golf" which includes all facilities you may want when on holiday - a gym, swimming pools (one is right below the apartment! ), tennis courts, squash field, playgrounds for kids, mini-golf, proximity to the beach and more. It is a great place to relax and is also a perfect basis for exploring the country. Tel Aviv and Haifa are only half an hours drive away, Jerusalem about an hour and a half. My name is Esther Wynhorst and I am a Dutch-born woman, living in Israel. I am divorced with 2 kids. I have a wonderful partner, Noah Gross, also divorced and a father of 2. We would like to spend some time in Europe this summer - just the 2 of us - so we are looking for an exchange to make that possible. 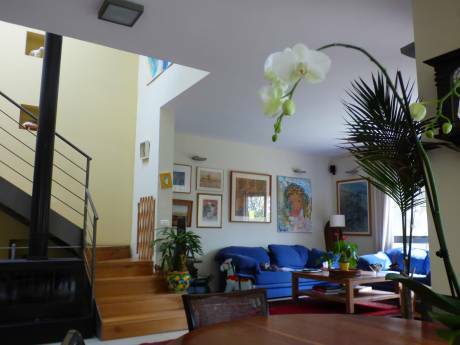 This appartment is the second home my parents bought 10 years ago so they have a nice comfortable place to stay when they come to visit me and my kids in Israel. They stay at the apartment when they come to visit (about 3-4 times a year for a week or two). In the summer the appartment is rented to tourists. The rest of the time the apartment is available for exchange. As I live close by, I am in charge of the upkeeping of the home and would gladly assist you with anything you need when you come over - including of course a nice evening meal together! I am looking for non-simultaneous exchange with another second-home owner. Caesarea is a beautiful ancient harbor town, easily accessable and within reach of most of the country. There are lots of antiques to be seen in the city itself and the national park that includes unique excavation sites that are still worked on. 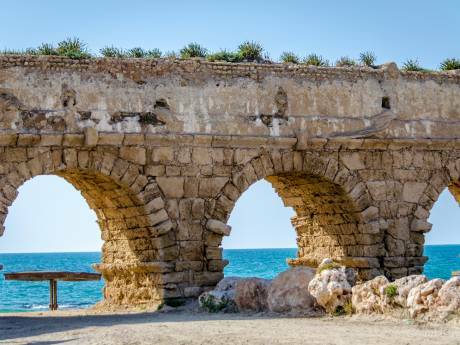 Caesarea is one of the upperclass towns in Israel with beautiful houses and gardening and a small shopping area and an art museum, it is also a nice place to hang out, enjoy the cafes and restaurants, or enjoy one of the many attractions nearby. There are lots of fun things to do in the near neighbourhood - horse back riding, golf courses, a watersport center where also lessons can be taken, beach activities and much more. This is an excellent place to stay to explore the country - only half an hour to Haifa or Tel Aviv or 1.5 hours to explore the city of Jerusalem. The sea is right at your doorstep, as well as the pool so this makes it a perfect place to relax as well!